TTi Sporting Director today appointed Samantha Marchetti as Recruitment Manager for The Technical Institute. 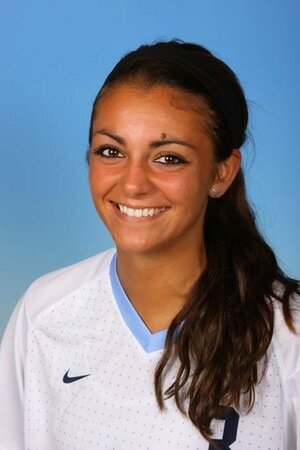 Sam, a Kean University Psychology Graduate, where she played 4 years for the Cougars. Post college Sam played in the WPSL for the Fresno Freeze and had signed earlier this year for the TTi WPSL Bluebonnets. In addition to her office duties, Sam will be coaching the players at TTi. "When Lee called to offer the position I was excited as I have many ideas for the current TTi Members as well as potential members to make the TTi environment theclear leader of youth soccer development in Houston" said Marchetti "the best piece is that I get to coach the players too - that was important to me coming on board with TTi" Marchetti concluded. "Sam's unique personality and maturity professionally will lead her to be a person of influence in the entire football community in Houston, not just internally at TTi. Sam will be a great asset on and off the field and I look forward to working with her" Said Lee Cullip, TTi Sporting Director. am will begin her duties officially with TTi in early April. Welcome to Houston (again) Sam!